EBJI » Thank You for your Tsunami Fund Donations! 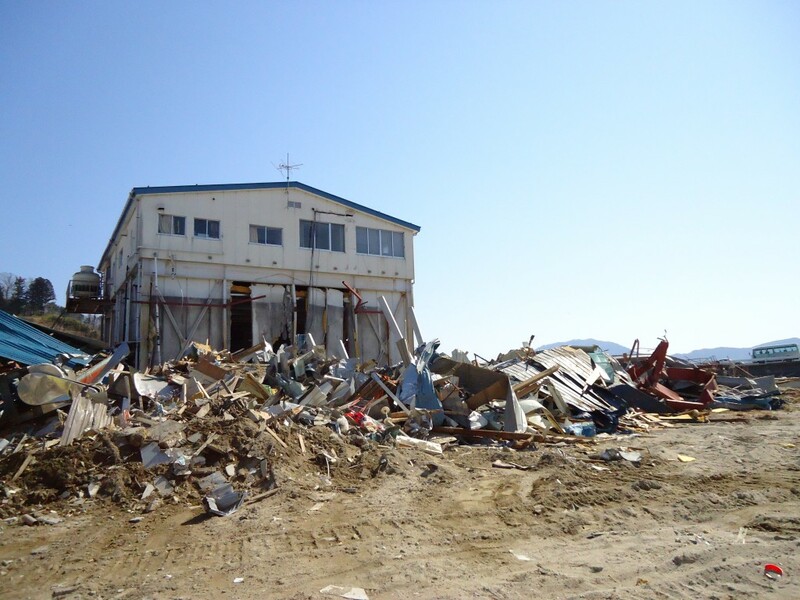 You are Here:EBJI >> News >> Thank You for your Tsunami Fund Donations! 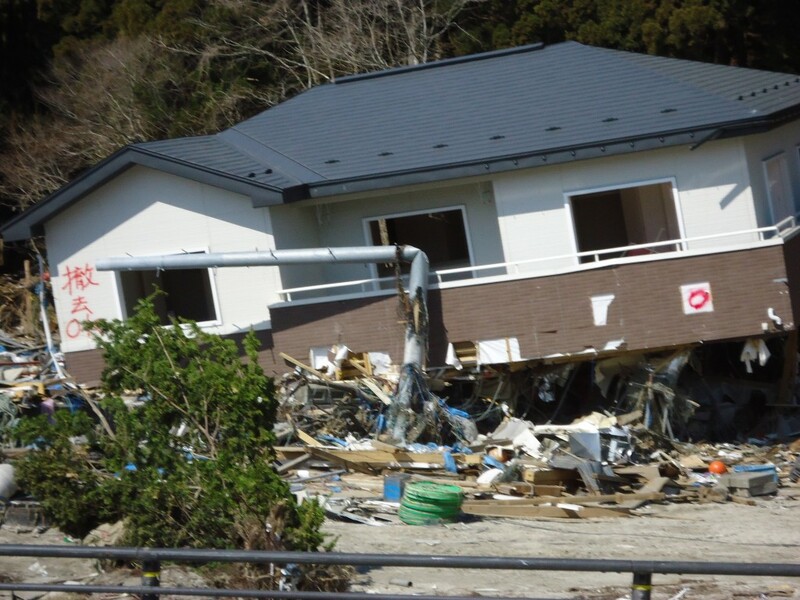 Thank You for your Tsunami Fund Donations! Comments Off on Thank You for your Tsunami Fund Donations! As you know we collected donations for the Japan earthquake and tsunami disaster areas’ relief. 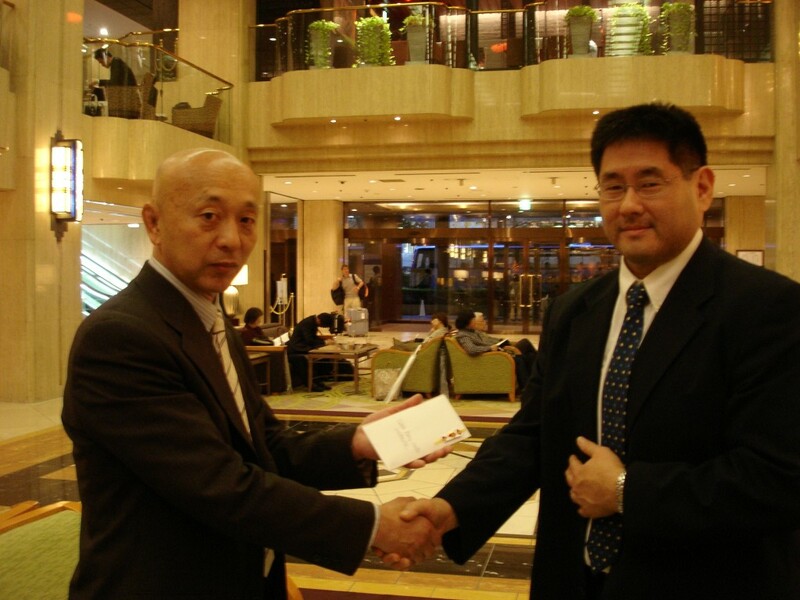 Considering what we could do as a judo dojo, I had previously contacted our judogi sponsor, Mr. Nobumasa Hayakawa of Kuzakura, letting him know of our wish to provide judogis to children and youth in the affected areas who had lost their judogis. Mr. Hayakawa subsequently discussed the issue with the directors of the All Japan Middle School Judo Federation, and they promptly agreed to start a fund on their own in Japan to aid in such efforts. Thus our proposal to provide judogis to kids in the area became the start of a national campaign in Japan to do so. I then set up an appointment to see Mr. Hayakawa, along with Mrs. Asano (former Director of the All Japan Middle School Judo Federation) and Tanaka (current Director) in Tokyo, Japan, to provide the funds to their organization. EBJI had received a total of $3,654. At the conversion rate as of 7 May 2011, that was the equivalent of 294,585.49 Japanese yen (see attached conversion rate sheet). I added a bit more to the total in yen for an even 300,000 yen. I met with these individuals on 11 May 2011 and provided them with the funds (see below). They provided me with a receipt (see below). Mr. Hayakawa assured me that he would make sure that our funds went to the provision of judogis to needy children and youth. In fact he came with a list of 53 kids from the affected areas with their judogi sizes. Our monies are going to this first group of individuals. I understand that subsequent funds raised by the Japan Federation will go to help others. Mr. Hayakawa asked us to produce little cards from EBJI, written in simple English, that he could include in the judogis given to the kids in Japan. I understand that those cards are being prepared now. 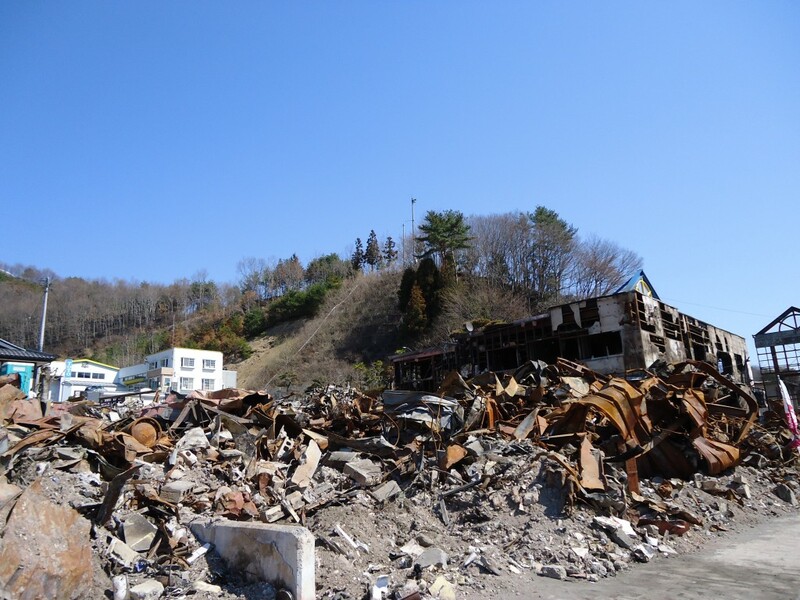 By the way, when I was in Japan I also met with Masahiro Tamura sensei, who visited our dojo in March, and was here when the earthquake and tsunami struck. He also visited the affected areas and shared some photos with me of those areas. I asked for his permission to share them with you. Please take a look at them. 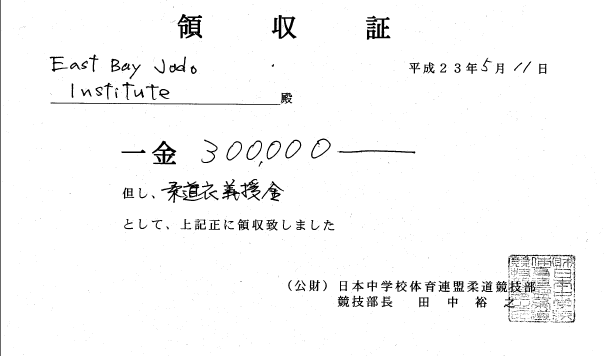 I understand that he is also participating in a judogi donation program, based on our discussions. Thank you to everyone who donated funds and helped in any other way. Please rest assured that your funds are going to a good cause, directly helping kids in need.